A Gusty princess imperils her life so she can rescue her magic bird. 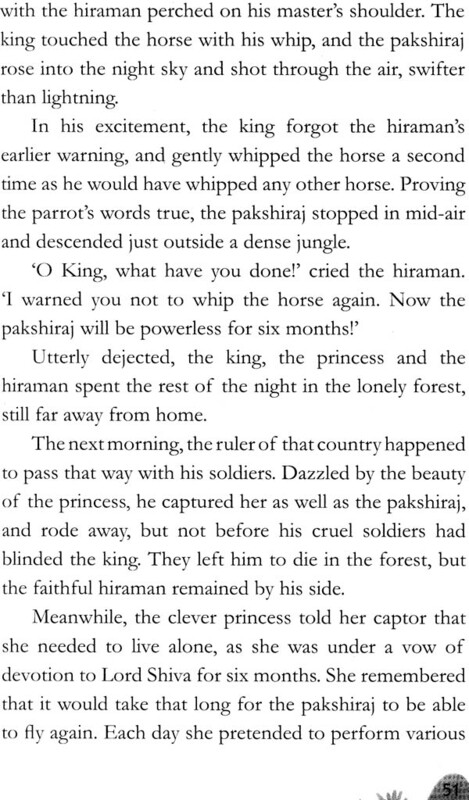 A clever zamindar’s wife sets a demon an impossible task. A wise woman tricks thieves into ploughing her land. A brave landowner’s wife single-handedly outsmarts a gang of dacoits. In this enchanting collection of India’s timeless folktales retold by bestselling author Anupa Lal, dauntless women catch thieves, argue with high-handed kings, outwit presumptuous rats and deal with dangerous demons. Anupa Lal has written more than twenty books for children. These include a retelling of the Ramayana, stories of Hatim Tai, Birbal and Sheikh Chilli, Picture books, and translation of several short stories by the noted Hindi writer Premchand as well as his last novel Godan. Folktales belong to no one and to everyone. They were handed down by word of mouth for generations before they came to be written. India has always been a treasure trove of folklore, and the fifteen stories in this collection from different parts of the sub-continent bear testimony to this richness. The tales are simple and direct. If they seem innocent, they are also wise. Their perennial appeal cuts across all age-groups. Many of these tales celebrate the strength and the intelligence of women. Sumitra’s resourcefulness, Kamla’s honesty, Sita Devi’s wisdom and Tara’s never-say-die attitude are qualities that will inspire even the modern young and men of today. However, not all the women in these folktales are worthy of admiration. If they are crafty like the neighbour’s wife or self-centred like Rani, they reap the unhappy consequences of their actions. Justice is done at the end. And justice, as Tara puts it, ‘concerns all of us’.